Our Traditional Arrow Weather Vane is crafted in copper, with an open arrowhead and accordion shaped fletching. 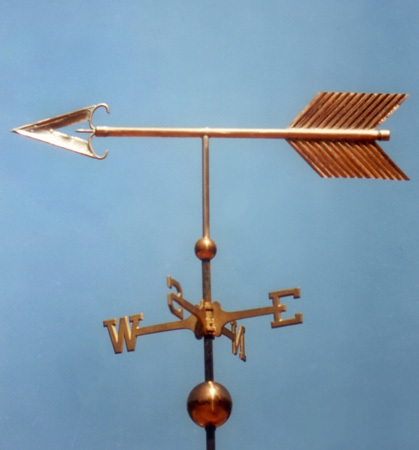 A popular option with this weathervane is to add gold or palladium leaf to the sheet metal section of the arrow tip and a gold leafed trim line around the perimeter of the arrow’s fletching. When going into a high wind environment we can add a copper globe at the intersection of the horizontal arrow shaft and vertical mounting tube to strengthen this connection. It would be similar in size to the globe just above the brass directionals (North, South, East, West arms). 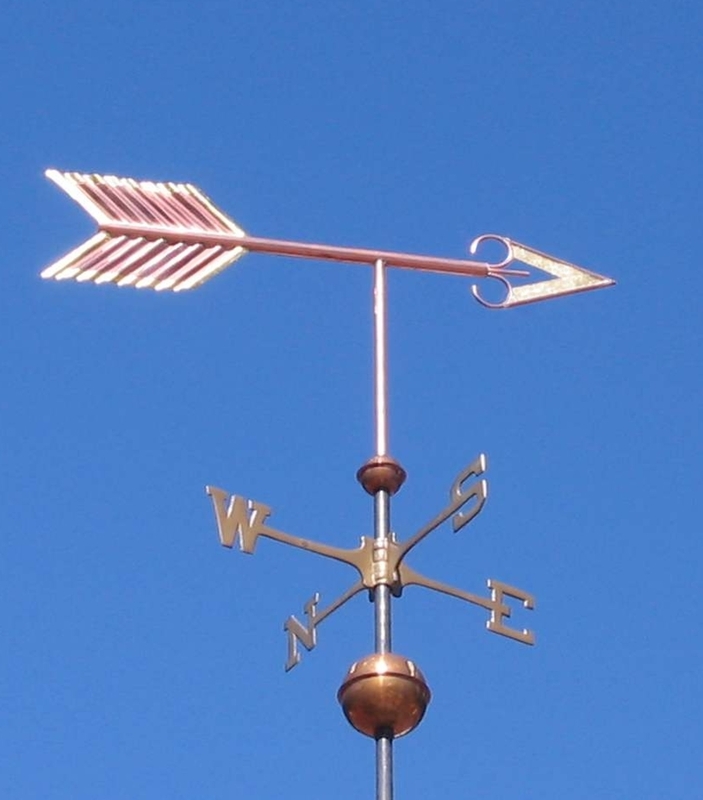 Please see our Barn Arrow Weathervane for an example of this globe gusset. 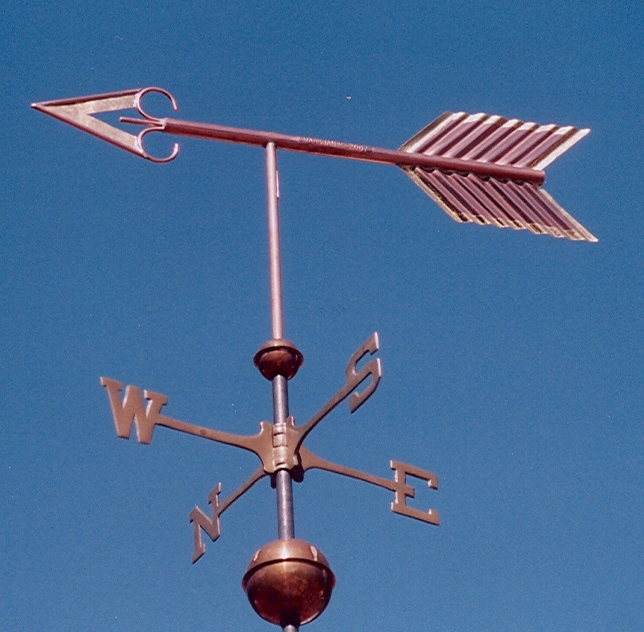 Arrow weathervanes have been popular in American culture since colonial times. Not only did they inform viewers of wind direction but also reflected the interests of the people living in those times. The frequent interactions between Native Americans and Colonists inspired a number of weather vane designs based on this relationship. Weathervanes actually served a critical role in the founding of the colonies. Supply ships were sporadic at best and the early colonists often had to rely on the food they were able to raise to make it through the winter. A good harvest could be critical to their survival. That is why the tallest building in the community, often a church, would have a weathervane on top of it. In the Fall, as the wind shifted around to the Southeast, it could mean the imminent arrival of a storm. Everyone would literally drop everything and rush out into the fields to secure the harvest before the rain swept in and damaged or destroyed the crops.